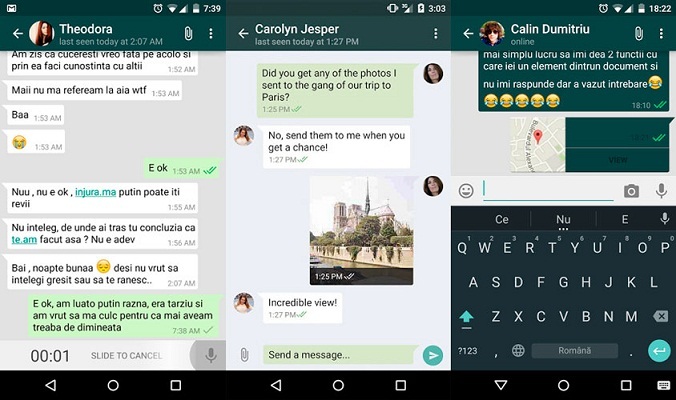 Messaging app WhatsApp has launched a new update for the Android users. The recent update has brought a few changes in the settings menu with a new layout and better icons. However, the new features are yet to be launched on PlayStore or the WhatsApp website, but the APK file can be downloaded from the APK Mirror Website. The update will also introduce a few changes in the placement of the settings menu. For example the profile settings option will now be replaced on the top potion of under the settings menu will have the user’s profile picture. The profile picture will also appear in a circular frame with a floating action button to change the image anytime. The new upgrade also adds a Data Usage feature that enables the users to manually control the applications and the files that are to be downloaded when it is on Wi Fi and also protects the mobile data from draining. On WhatsApp, the Chats and calls option will become only Chats and will fall under the Data Usage tab. The button for payment option will be removed from the settings. WhatsApp has recently introduced a new update that allows the users now to send documents through the app. But the feature is for now limited to send PDF files.